Dr Marcia Stone (Straehley), LAc, MS, PhDc. As a healing practitioner, Marcia has graduate degree licenses and experience in Acupuncture, Herbalism, Nutrition, certified Clinical Hypnotherapy, as well as Reiki and TuiNa meridian massage. She offers her clients unique, broadly based skills and care. Each treatment is deeply rejuvenating and customized to you. Her clients call the sessions “Acu-Bliss”, a state in which the mind, emotions and body feel profound calm and renewal – like a “mental” and physical massage. The effects are transformative and long lasting. Marcia has undergraduate and graduate degrees from University of California, Berkeley. She has her MS in Asian Medicine from the Acupuncture and Integrative College (AIMC) in Berkeley, and she is licensed by the California Acupuncture Board, has Certificates in Asian Nutrition, Reiki, and Hypnotherapy, and is completing a second PhD with the American Board of Hypnotherapy Instructors specializing in Alternative Methods of Wellness. She offers these modalities separately or in combination. Her treatments are gently nurturing and energizing. According to each client’s needs and conditions, she may supplement acupuncture treatments with breathe-work, guided imaging, acutonics, and Reiki or Acupressure, giving hands-on care with a gentle yet deeply energetic touch. She is highly trained in diagnosing from an integrative perspective, using both Asian Holistic and Western approaches. 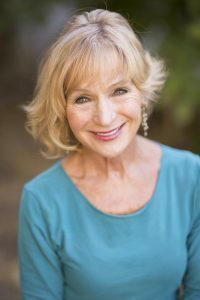 Because she believes it is important to involve her clients in learning how to improve their health and wellness, she also offers sessions to explore lifestyle, self-care and exercise activities, including easy, effective QIGONG techniques. She invites you to experience and enjoy “Acu-Bliss” and the increased health and wellness it brings.